Dr. Robert Lustig, Professor of Pediatrics in the Division of Endocrinology at the University of California, has been a pioneer in decoding sugar metabolism. He’s become quite well-known in recent years for stating that excessive amounts of sugar in your diet has toxic effects. He’s also pointed out that processed fructose is far worse, from a metabolic standpoint, than refined sugar. Now, new research1,2 from the University of Utah confirms Dr. Lustig’s stance, showing that corn syrup is more toxic to female mice than table sugar. Not only did corn syrup adversely impact the animals’ rate of reproduction, it also caused premature death. From a chemical standpoint, high-fructose corn syrup (HFCS) is similar to table sugar, but it does contain higher levels of fructose. Manufacturers have long claimed that HFCS contains at most 55 percent fructose (and 45 percent glucose). This is very close to white sugar, which contains about 50 percent fructose (and 50 percent glucose). That said, tests have revealed that the fructose level in HFCS can reach as high as 65 percent. It is this elevated fructose level is one piece of the explanation for why HFCS is so much worse for you than refined sugar. “The study showed that female mice fed a diet which contained 25 percent of calories from added fructose and glucose carbohydrates known as monosaccharides that are found in corn syrup died at a rate 1.87 times higher than female mice on a diet in which 25 percent of calories came from sucrose. According to the authors of this paper, 42 percent of the added sugar found in the US diet comes from corn syrup; 44 percent comes from sucrose. The remaining 14 percent of added sugars are in the form of natural sweeteners such as honey, molasses, and fruit. .
Worldwide however, high fructose corn syrup (HFCS) accounts for only eight percent of added sugar consumption, so Americans are far more likely to consume excessive amounts of HFCS than many other nationalities, and our disease statistics tend to mirror that as well. High fructose consumption is in fact a primary contributor to most chronic disease states, starting with insulin resistance, which can then progress into related diseases like diabetes, heart disease, cancer, and more. “Our findings suggest that the measurement of blood sugar levels in all patients arriving at emergency departments with acute heart failure could provide doctors with useful prognostic information and could help to improve outcomes in these patients. Among non-diabetics, the risk of death within one month of their heart failure was 26 percent higher among those with even slightly elevated blood sugar levels, compared to patients whose blood sugar levels were in the low-normal range. Those with blood sugar levels nearing the criteria for diabetes had a 50 percent higher risk of death within the month following their heart failure. Elevated blood sugar levels were also associated with a higher risk of death from cardiovascular disease. There’s a common belief that healthy food is inherently more expensive, and thus can only be for the wealthy. But healthy food could easily be more affordable for everyone, were it not for agribusiness CEOs, their lobbyists, and the politicians in their pockets. Both corn and sugar beet crops are heavily subsidized in the US. The reason why buying a loaf of processed white bread is cheaper than buying a pound of broccoli is directly related to agricultural subsidies, which favor all the ingredients that make up a junk food diet. As noted by Business Insider,7 the US Department of Agriculture (USDA) spends nearly $1.3 billion a year on subsidies for our most commonly used junk food ingredients, including corn, wheat, soy, and sugar beets. If subsidies were really based on nutritional value, then neither corn nor sugar beets would fit the bill… As it stands, agricultural subsidies are used to grown ingredients that form the very foundation of a junk food diet. Interestingly enough, processed food could be even cheaper than it already is. Not that this would necessarily be a positive thing, but it highlights the fact that processed junk foods are a real profit center—both for food industry and our politicians. “Taking candy from a baby is easy. Taking sugar from a senator? Not so much… [I]t’s not just the nation’s 3,913 sugar beet farms and 666 sugarcane farms that crave the sugar program’s artificially sweetened revenues. The program also persists because it offers a steady source of money to elected officials. In a June 2014 report, Bryan Riley, a senior policy analyst at the Heritage Foundation, noted that while sugar constitutes just two percent of the total value of US crop production, the nation’s sugar farmers account for 35 percent of the crop industry’s total campaign contributions and 40 percent of its lobbying expenditures. Those are all good suggestions, but while politicians debate and search for their moral compasses, I would suggest doing your own homework and changing your own diet. Do You Know How Much Sugar You Consume Every Day? The crux of the problem is that if you eat a diet consisting primarily of processed foods, moderation immediately goes out the window, because virtually all processed food items contain some form of added sugar. Oftentimes, just ONE food item can contain an entire day’s worth of sugar! Sweetened beverages may be among the worst culprits. Take Vitamin Water, for example. One 20 oz bottle contains around 30 grams of sugar,12 which equates to THREE Krispy Kreme original glazed doughnuts. That one bottle alone is also TWICE the daily recommended fructose allowance for people with insulin resistance, and it’s five grams over the limit for non-insulin resistant folks! On average, sugar makes up 15 percent of total calories consumed in the US (about 19.5 teaspoons per day), and your liver, which processes sugar, simply cannot handle that kind of burden. When you overload your liver in this way, you inevitably end up with chronic metabolic disease. According to available data, the safety threshold for sugar appears to be around six to nine teaspoons (25-38 grams) of added sugar per day. Any more that, and you’re setting yourself up for an insulin resistance. And again, processed fructose tends to cause more severe metabolic dysfunction than regular sugar, in part because it’s more readily metabolized into fat than any other sugar. The fatty acids created during fructose metabolism accumulate as fat droplets in your liver and skeletal muscle tissues, causing insulin resistance and non-alcoholic fatty liver disease (NAFLD). Insulin resistance in turn progresses to metabolic syndrome and type 2 diabetes. The metabolism of fructose by your liver also creates a number of waste products and toxins, including a large amount of uric acid, which drives up blood pressure and causes gout. Mounting evidence clearly shows that refined sugar and processed fructose are primary factors causing obesity and chronic disease, including heart and cardiovascular disease. A paper by Yang, et al, published in JAMA Internal Medicine last year looked at consumption of added sugar over two decades, as a percentage of total calories, concluding that it significantly contributed to cardiovascular deaths. People who consumed 30 percent of their daily calories as added sugar (like many teenagers are) had a four-fold greater risk of dying from heart disease. The evidence is quite clear: If you want to normalize your weight, and dramatically reduce your risk of diseases such as heart disease, cancer, diabetes, and Alzheimer’s, you need to address your processed food consumption. Refined sugar, processed fructose, grains, and other sugar-forming starchy carbohydrates are largely responsible for your body’s adverse insulin and leptin reactions, which underlie these and other chronic disease states. If you’re insulin/leptin resistant, have diabetes, high blood pressure, heart disease, or are overweight, you’d be wise to limit your total sugar/fructose intake to 15 grams per day until your insulin/leptin resistance has resolved. This applies to at least half of all Americans. For all others, I recommend limiting your daily fructose consumption to 25 grams or less, to maintain optimal health. The easiest way to accomplish this is by swapping processed foods for whole, ideally organic foods. This means cooking from scratch with fresh ingredients. My free nutrition plan offers a step-by-step guide to feed your family right. Low-to-moderate amount of high quality protein. Substantial amounts of protein can be found in meat, fish, eggs, dairy products, legumes, and nuts. When selecting animal-based protein, be sure to opt for organically raised, grass-fed or pastured meats, eggs, and dairy, to avoid potential health complications caused by genetically engineered animal feed and pesticides. Most Americans eat far too much protein, so be mindful of the amount. I believe it is the rare person who really needs more than one-half gram of protein per pound of lean body mass. Those that are aggressively exercising or competing and pregnant women will need about 25 percent more, but most people rarely need more than 40-70 grams of protein a day. To determine your lean body mass, find out your percent body fat and subtract from 100. This means that if you have 20 percent body fat, you have 80 percent lean body mass. Just multiply that by your current weight to get your lean body mass in pounds or kilos. To determine whether you’re getting too much protein, simply calculate your lean body mass as described above, then write down everything you’re eating for a few days, and calculate the amount of daily protein from all sources. Again, you’re aiming for one-half gram of protein per pound of lean body mass, which would place most people in the range of 40 to 70 grams of protein per day. If you’re currently averaging a lot more than that, adjust downward accordingly. You could use the chart below or simply Google the food you want to know and you will quickly find the grams of protein in the food. 4 Reasons Why You Need to Play! Dr. Mercola finished his family practice residency in 1985 but was trained by the conventional model. In his first years of private practice, he treated many symptoms with prescription drugs and was actually a paid speaker for the drug companies. But as he began to experience the failures of this model in his practice, he embraced natural medicine and has had an opportunity over the last thirty years to apply these time tested approaches successfully with thousands of patients in his clinic. 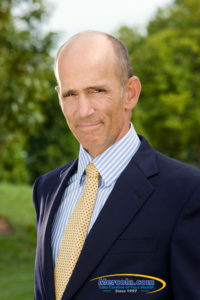 Over 15 years ago he founded Mercola.com to share his experiences with others. The site is the most visited natural health site in the world for the last seven years with nearly two million subscribers. He's also written two NY Times bestselling books, and has had frequent appearances on national media including the Dr. Oz show and major news channels.